Pirate Pig is sad. His treasure chest is lost at the bottom of the sea! Can Dora and Boots help him find it? 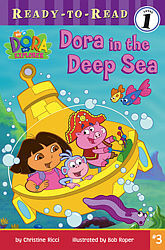 See what they come up with in this deep-sea adventure! Paperback. Ready to Read Level 1.